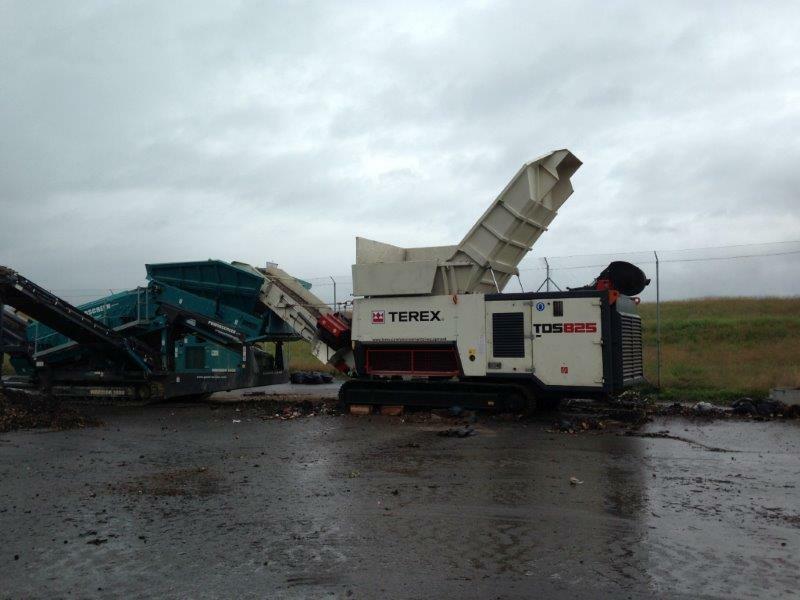 The Terex TDS825 solid waste shredder offers impressive advantages and features more options to guarantee consistent results for machine operators. This slow speed shredder processes all materials and utilizes three standard programs for industrial shredding applications. These pre-installed programs, which are waste wood, green waste and domestic/industrial bulky waste, are accessed by pressing a button to continue the disintegration process without any delay. For example, operators can crush mattresses, followed by waste wood immediately afterwards. 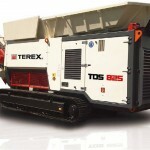 The customized features built into the TDS825 are what make this solid waste shredder a high-throughput machine. 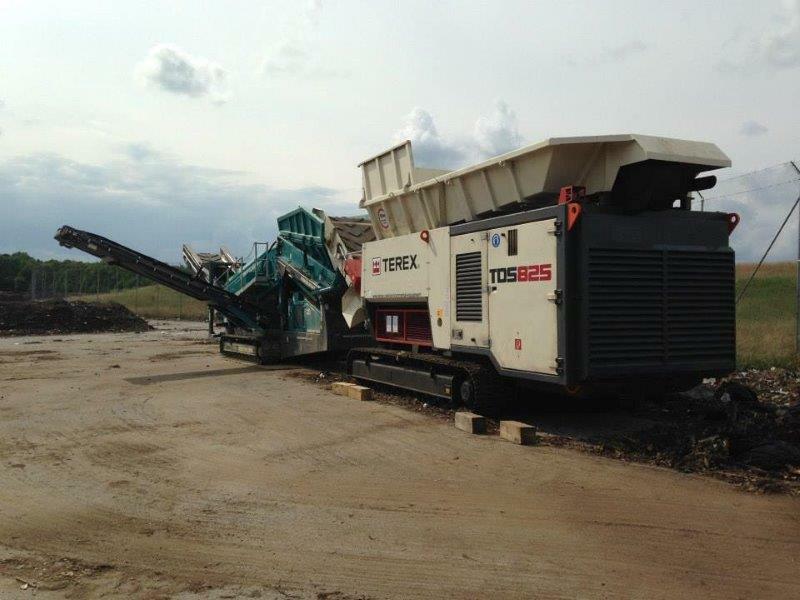 Capable of processing over 65 tons/hour of industrial waste and over 100 tons/hour of waste wood, the TDS825 incorporates a double-shaft design. 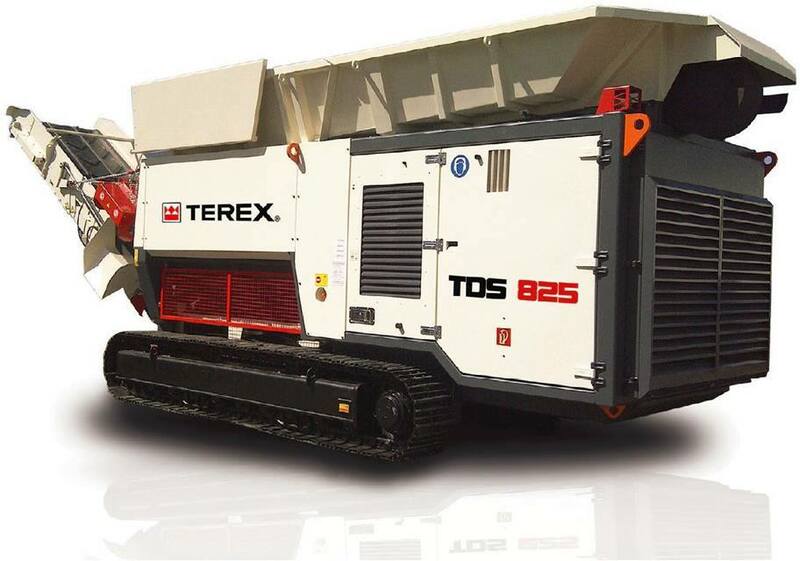 In addition to the three programs mentioned above, this industrial shredder also features a fourth pre-installed program that can be configured by the customer for the disintegration of difficult material. Each shaft is driven by a separate hydraulic motor with separate hydraulic gear box, which makes it possible to drive each shaft separately for rotation minutes and rotation direction. 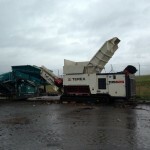 A common issue with most solid waste shredders has to do with material wrappage. 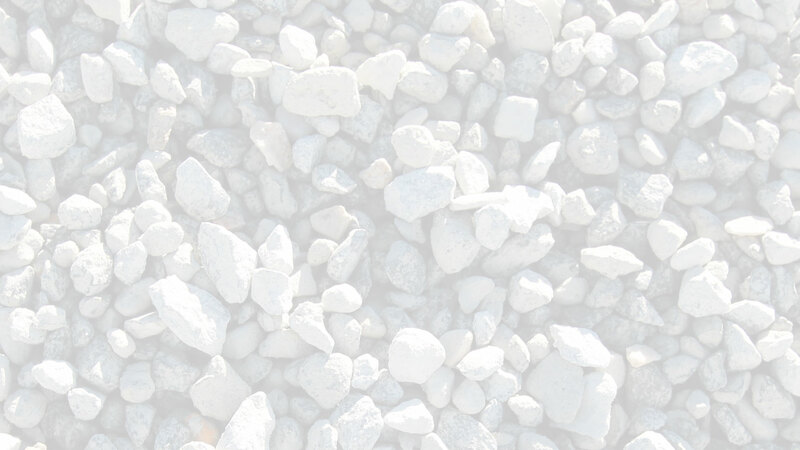 Machine owners lose money when they are not processing enormous amounts of domestic and industrial waste, which leads to frustration and downtime. The engineers behind the TDS825 have examined this issue and made sure this shredder’s design prevents such an occurrence. It’s equipped with a special cleaning system to avoid the wrappings of long materials such as plastic film, airfoil, mattresses or composite panels around the shafts leading to machine blockages. The shafts reverse in an asynchronous manner guaranteeing the self-cleaning effect even when shredding material is difficult. The TDS825 has a shaft length of 8’-2”. The operation is dictated by a 12-channel remote control from the loading unit. The optimized sound insulation system (max 92 dBA) as well as the functional display (different languages with integrated error detection system) are standards of the base version. The diesel-driven mobile machine is on tracks with additional options. Another advantage of the diesel motor is the refined energy saving system. 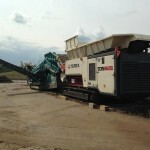 The machine runs with different revolution speeds depending on the charge factor achieving a diesel saving of about 25%.